Dropbox is one of the most used cloud service. It is king of cloud service and offers enormous features to users. 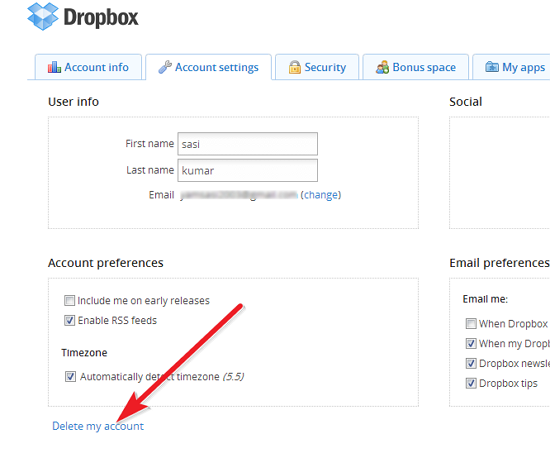 Here the simple tutorial to how to delete your dropbox account permanently. Note: Once you deleted your Dropbox account you cannot re-enable it again. So think twice before you delete. Finally click the Delete my account button. You are done! you are completely removed your Dropbox account.